The Moto Metal MO959 wheel is available in 18 and 20 inch sizes. The MO959 is available in standard and lifted truck applications. 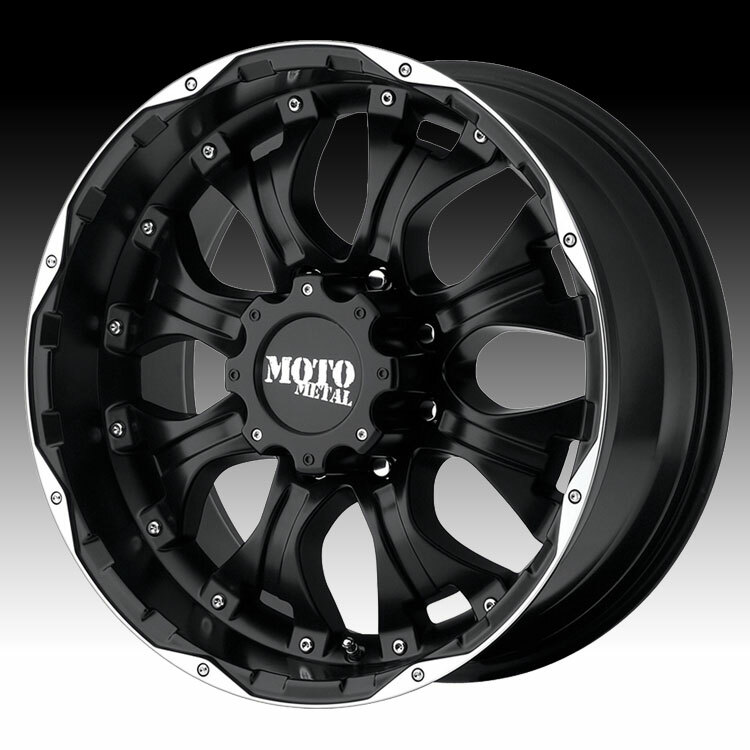 Moto Metal Custom Wheels specializes in stylish wheels for today's trucks and SUV's. Moto Metal offers a variety of finishes including Chrome, Black and Machined, and the newest Matte Black / Carbon Black finishes for those who want a more rugged look for their truck or SUV. Moto Metal also provides some wheel styles for lifted truck applications. FREE SHIPPING on Moto Metal Custom Wheels! For more information, please visit Moto Metal's webpage.